Panama Intellectual Property Registration and Protection With the Help of ISOG Lawyer and Attorney at Law. Did you know, as an entrepreneur, that when creating your company, it is very important to protect your intellectual property by registering your name, symbol, logo and drawing that makes you differentiate yourself from other companies? INVENTIONS AND PATENTS that you have created. DRAWINGS AND INDUSTRIAL MODELS that are used to make your product. TRADEMARKS OF PRODUCTS AND/OR SERVICES that you offer. BRAND NAME OF YOUR COMPANY, so as to avoid it being used by another person with another purpose. ADVERTISMENTS AND COMMERCIALS: Adverts and commercials that make people believe in your product. DOMAIN NAMES OR DOMAIN NAME SYSTEM (D.N.S. ): Internet web pages. Currently, in Panama it is possible to register both products as services at the Directorate of Industrial Property Register of the Ministry of Trade and Industry. 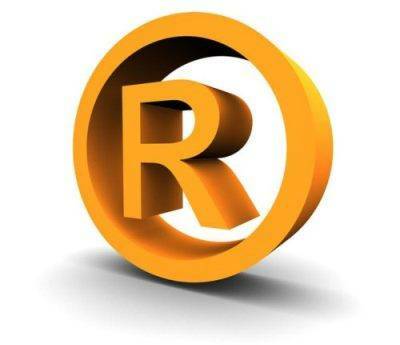 ISOG lawyers can register the trademarks, the symbols and/or brands that make your product or service differentiate. If the illegal trademark has not yet been registered, and there is still time for opposition, you can claim the nullity of the registration process before the Tribunal of Trade and then claim compensation for the damages incurred. If the illegal trademark has already been registered, you can claim the nullity on the registration of the trademark, so as to decree that this trademark cannot operate because it is already registered in another country, it is a very important trademark and is widely recognized in that country. Once we have checked the trademark and this is available for registration, we will submit the relative documentation. Name or description of the trademark, with indication of the colors to be claimed (protected). Specification of the distinguished products or services. Power of Attorney, notarized and apostilled, granted to ISOG, with which you authorize our lawyers to take on this management. In case of companies, a valid Certificate of Registration of the company that will be the owner of the trademark. Ten (10) labels of the trademark. Letter of Consent, if the trademark will be registered by a holder different to the original holder. If you wish to transfer the trademark, create a franchising or renew your trademark, just contact ISOG lawyers who will be able to assist you. ISOG lawyers and attorneys at law can protect your trade or commercial secret, so that third parties don’t have access to it and at the same time you can demonstrate to be the original creator. ISOG lawyers can register patents and industrial innovations in order to protect your commercial and industrial rights. Remember if you do not register your product, somebody else can do it in his own name. Avoid to start long and tedious litigation processes because you did not register your product.